Would you like to enjoy a hot and delicious drink during rainy days or cold weather. Here’s something we dare you to enjoy a unique flavor, atol de elote. An ancient Guatemalan drink made of corn, with delicious cinnamon flavor, and a perfect dash of sugar. For Mayans, corn is a sacred food, consumed during special ceremonies but also as a daily food. Though the ways of preparing atol has evolved as indicated in historical data, but the flavor and nutritional value remained the same. An ancient drink with unique and exquisite flavor. 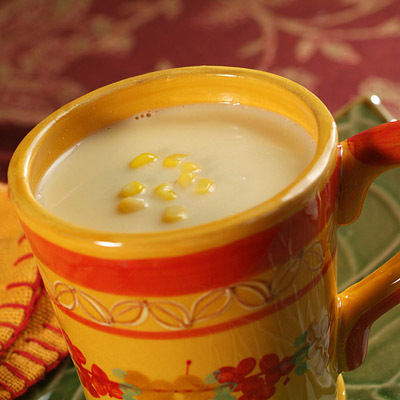 History, tradition and amazing flavor into one in every cup of Atol de elote. If you enjoyed the bits of information about atol de elote, and wants to read more from The Mixed Culture, make sure to subscribe to my mailing list to read my latest blog straight from your inbox. Or, follow me on Facebook or Instagram for the latest scoop from me. Feel free to email me for any questions or comment below.